Motorcycles Direct, the group name for Lloyd Cooper Motorcycles and Lids Direct has now taken over ownership of Colchester Kawasaki. This makes the ever-expanding Motorcycles Direct group the number one Kawasaki dealer in the UK! Motorcycles Direct are now able to service the whole of East Anglia from their Colchester Kawasaki premises, as well as the rest of the UK, with the full Kawasaki range and an outstanding level of customer service. In the past, Lloyd Cooper - Motorcycles Direct have won multiple awards, including MCN dealer of the year and Rider Power dealer awards, and are keen to extend their high level of experience and customer care to Colchester Kawasaki. 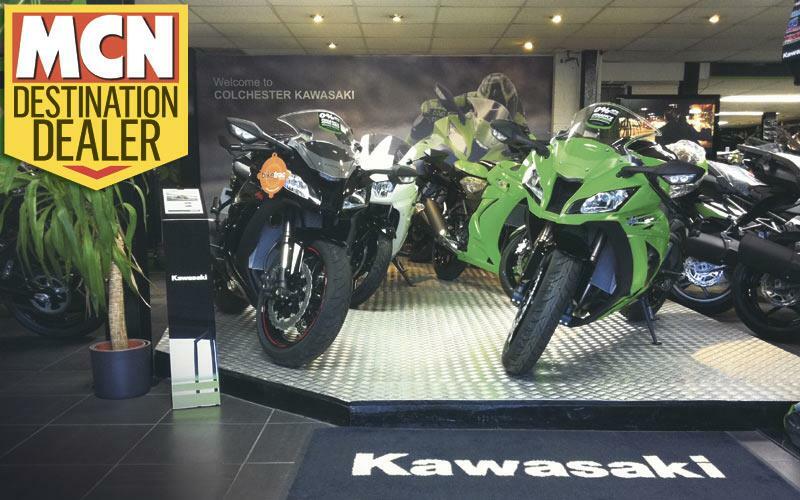 Colchester Kawasaki is a well established motorcycle dealer based in Colchester, Essex with over 25 years experience. They are home to the official Kawasaki BSB Racing Team – MSS Colchester Kawasaki, have an extensive Kawasaki Motocross department and race team, and will add a massive sports and race experience to the Motorcycles Direct name. On Thursday 2 February Motorcycles Direct will be holding a major launch night at Colchester Kawasaki, highlighting the new 2012 Kawasaki models, but also celebrating the exciting new change of ownership. There will be the chance to see the 2012 MSS Colchester Kawasaki race bikes and meet the riders, live band, firework display, food and drink, games and competitions, as well as exclusive on-the-night offers on Kawasaki bikes, clothing, helmets, accessories and parts, and much more!